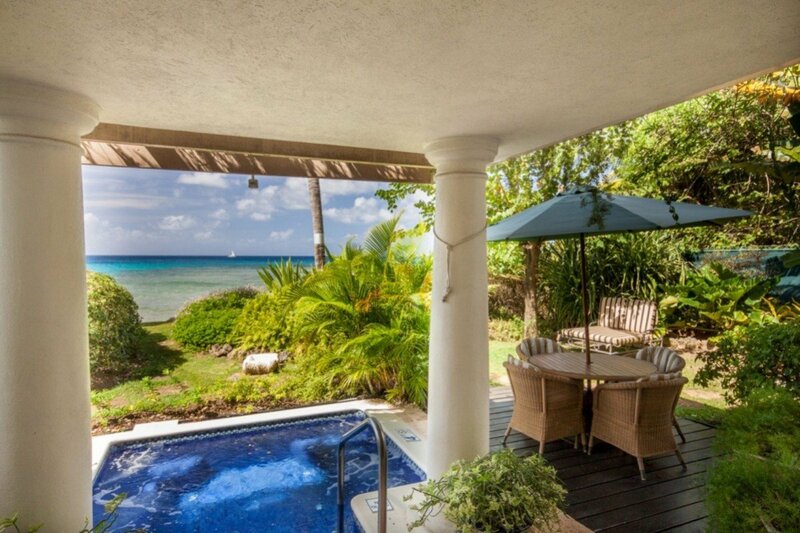 Villa Reeds House 5 Barbados. 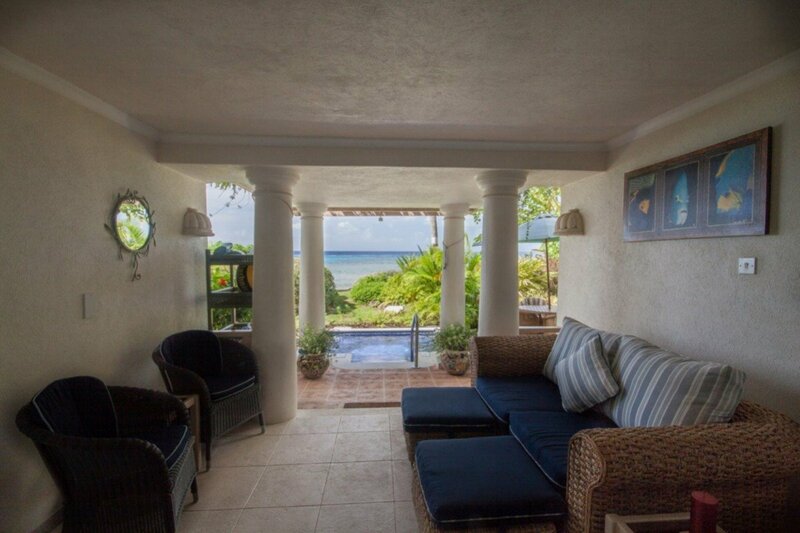 The Villa Reeds House 5 is an especially luxurious property in an already premiere setting. 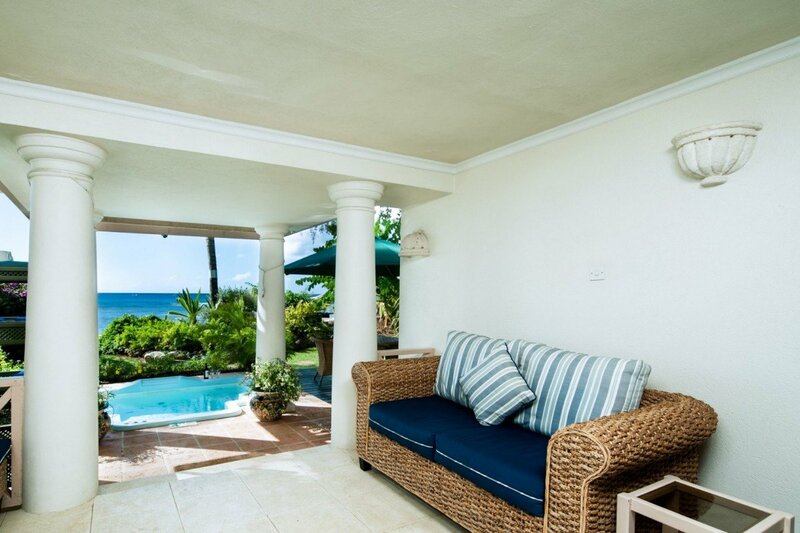 An apartment-style villa, it sits at the corner of the property and offers an added level of privacy and luxury. 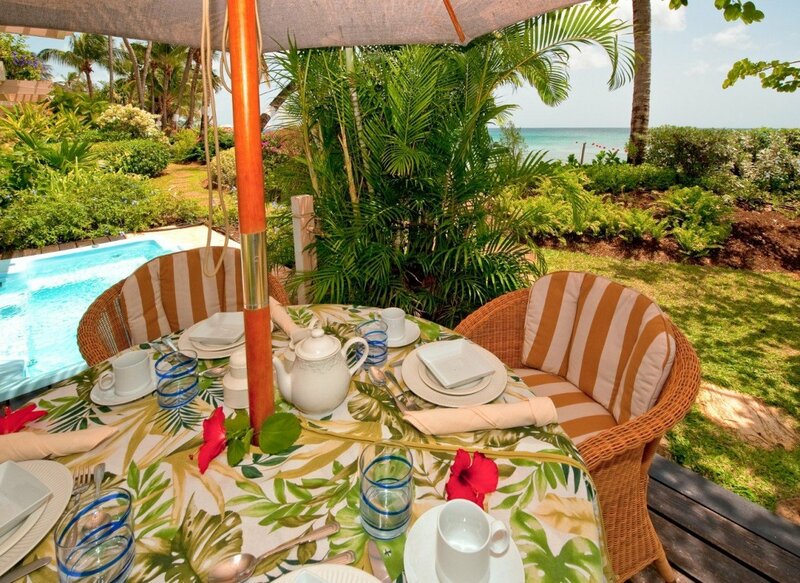 A two-bedroom villa, it offers a large and private garden on the main terrace and a charming, private path down to the beach. 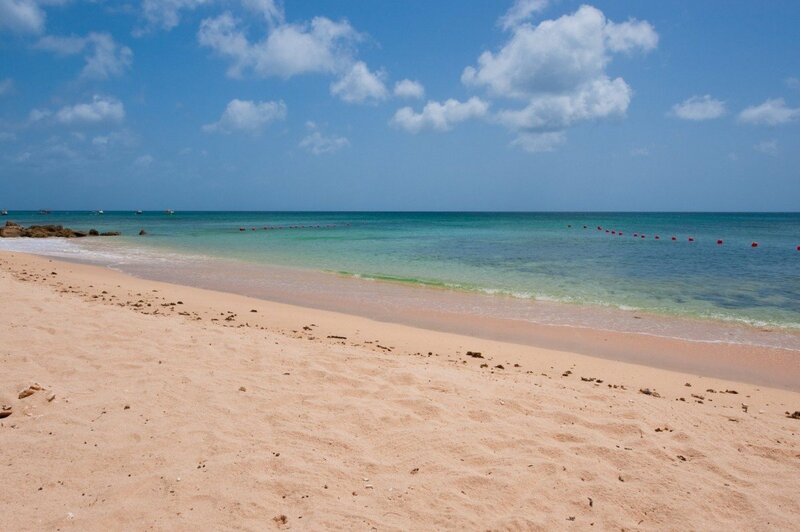 Located on the St. James coastal area of Barbados, the beachfront is some of the finest available, and as a guest, you enjoy use of water sports gear, beach chairs and more. 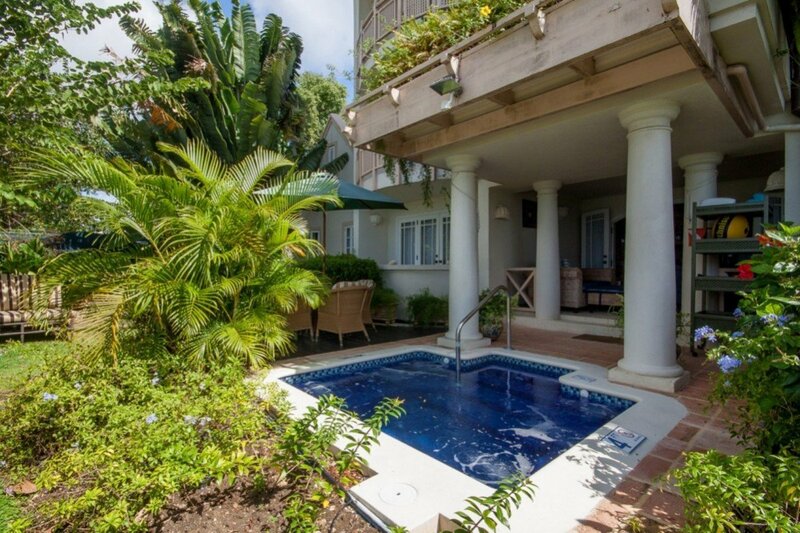 However, the villa itself is amazingly appealing and includes that garden terrace where your private plunge pool awaits. 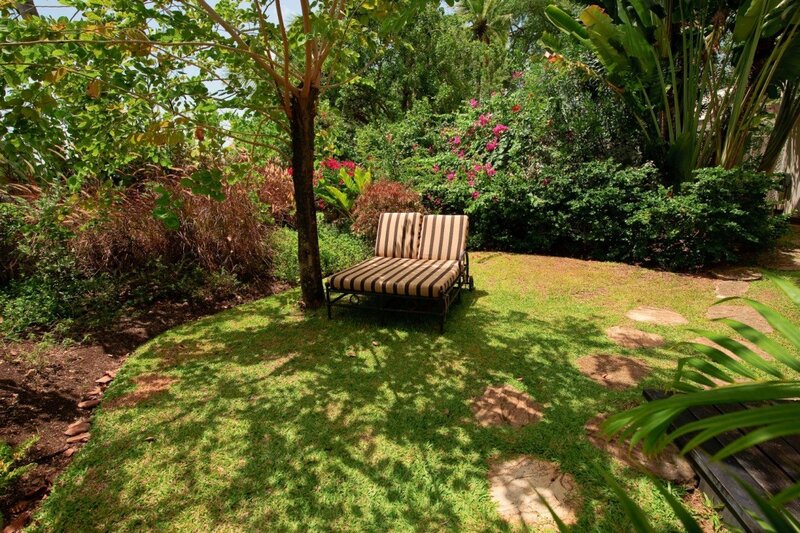 Tucked discreetly out of sight, it gives you wonderful views of the surrounding grounds and the sea just beyond. 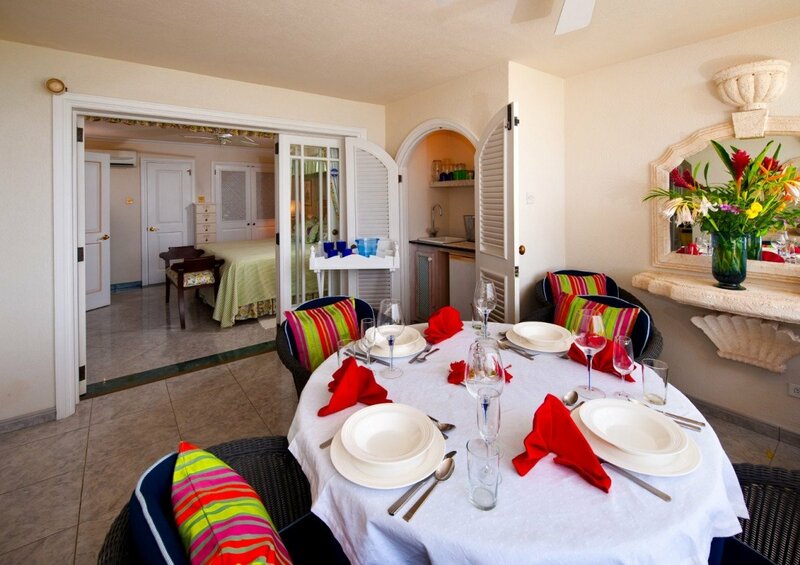 It sits alongside your private terrace, which is furnished as an al fresco dining area and lounge. There is also an open-air living room just outside of the gracious interior spaces. The great room is a bright and airy space decorated in a nautical palette of blue and white. It includes a low-key living room that opens into the breakfast area. This then leads into the kitchen. 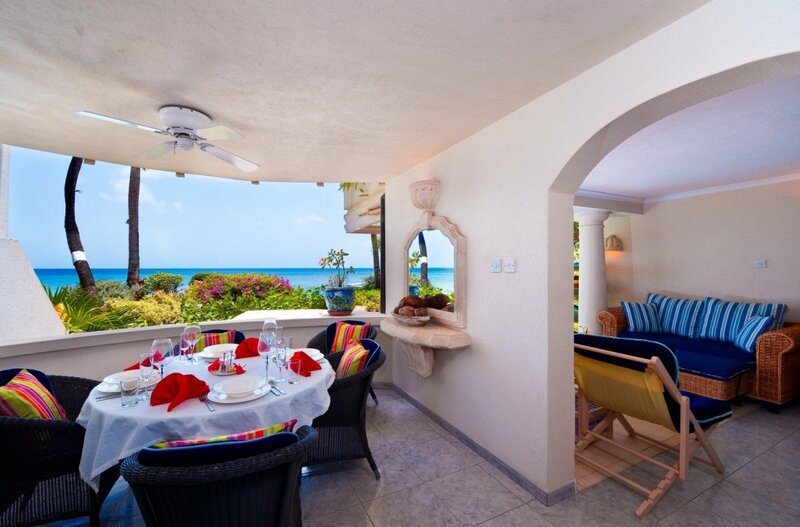 Just outside of the living room is a second terrace, and it is where more formal dining can be savored. The villa includes the services of an attentive staff, including a cook to prepare two meals daily, and you can enjoy any of them in this discreet and private niche. 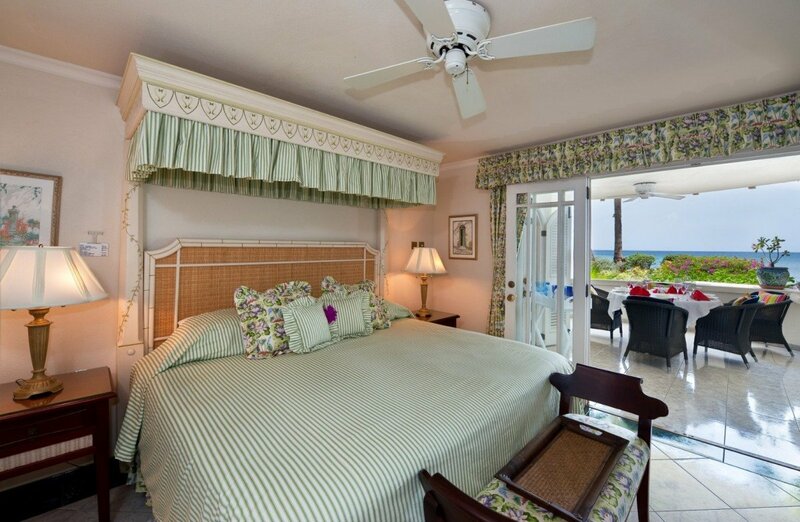 The bedrooms are also amazingly private and luxurious. 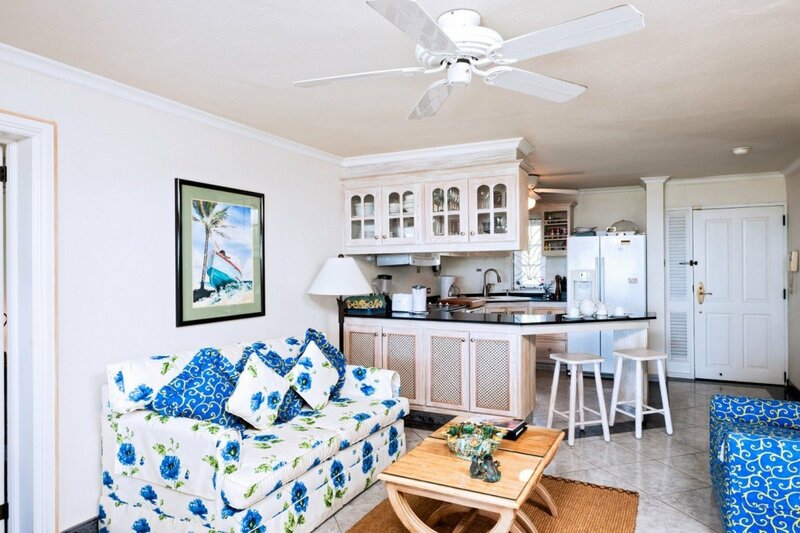 Both are king suites and feature large and private terraces of their own. 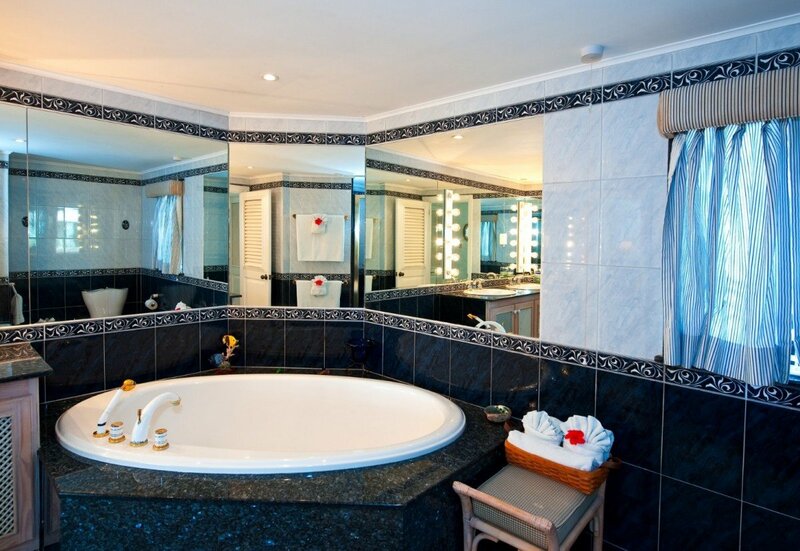 They are each fitted with opulent, private baths and are wonderful retreats at any time. 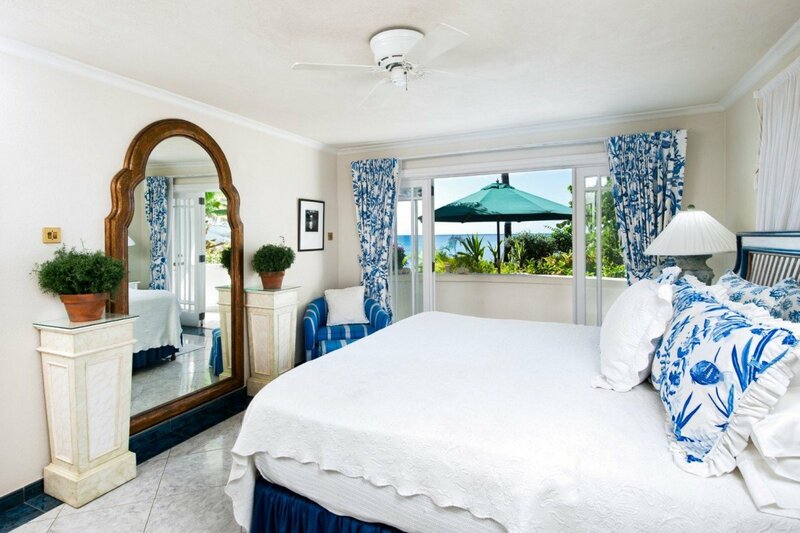 Whether as a couple on honeymoon or a romantic escape or with friends or family (or even on your own), the delights of Villa Reeds House 5 are a must when in Barbados. Bedroom 1: Master bedroom with a king-size bed, A/C, ceiling fan, WiFi, access to terrace and en-suite bathroom with bathtub, shower, bidet, double vanity and WC. 2 guests maximum. Bedroom 2: Bedroom with two single beds (can be made up as a king-size bed), A/C, ceiling fan, WiFi, access to terrace and en-suite bathroom with shower, vanity and WC. 2 guests maximum. 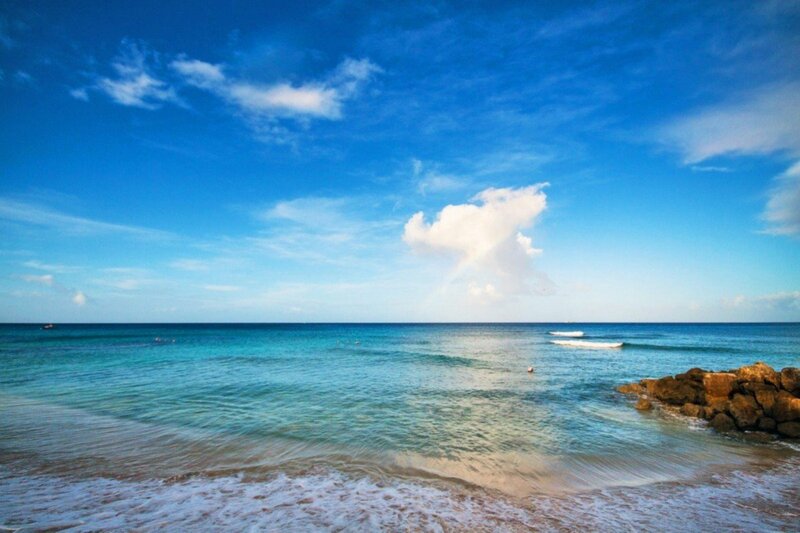 Reeds House 5 is offering 10% off for travel between April 15, 2019 and June 30, 2019.